Successfully Added Outdoor Fishing Vest Sport Safety Life Jacket Fishing Jacket Fishing Tackle Floating Vest black to your Shopping Cart. Made of oxford cloth, wash resistant, wear-resistant, soft and comfortable. Anti-static, breathable, UV-proof, waterproof, windproof and quick dry. 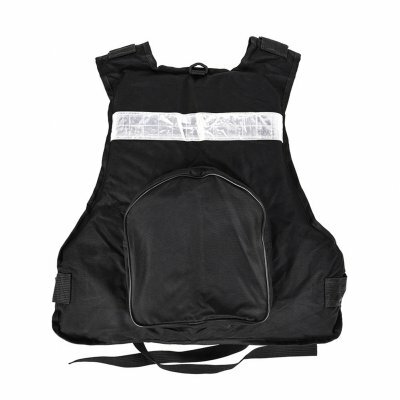 Padded with PE foam, can be used for a life jacket, perfect for rock fishing, see fishing. Various sturdy zip pockets and pouches, convenient to store small things. 1-2cm error might exist due to manual measurements. The colors deviation might differ due to different monitor settings.